Let’s talk about foster care and trauma parenting. Many foster children will experience Arrested Psychological Development meaning the child becomes “stuck” at a certain level of development for an extended period of time. This is very evident in children who have been exposed to trauma. Abuse, neglect, parental drug and alcohol abuse, separation from the primary caregiver whether sudden or over extended periods of time, removal into foster care and adoption/change of primary care giver can all effect the child’s developmental age. For example if you have a 7 year old foster child who was neglected before you started caring for her. She very well may not act like a typical 7 year old. Instead she could often act like a toddler or even infant because those stages of development were never met. As foster parents we must lower our expectations of the child’s understanding and ability to function as a typical 7 year old. This is a key component of trauma parenting. 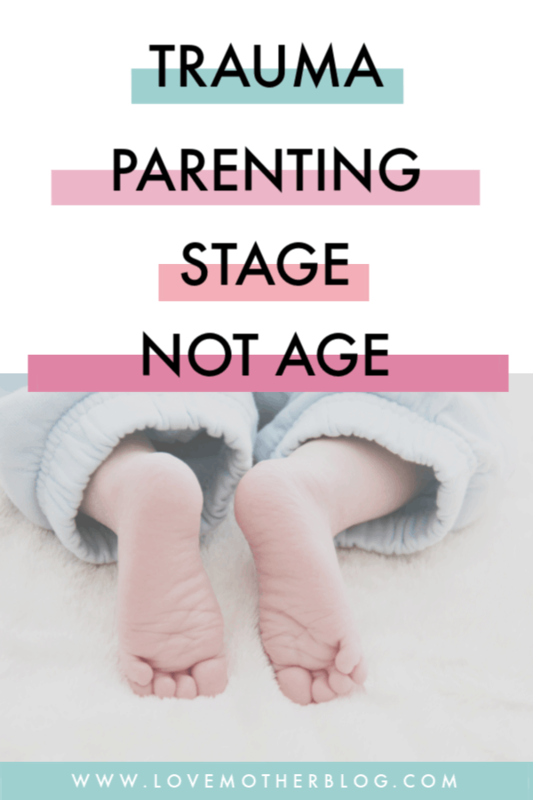 We parent at the stage they are at and not the age they are. This could mean a lot of typical infant behaviour such as constant holding close and cuddling, swaddling effect, wrapping in blankets, spoon feeding, rocking and eye contact. All things that you would do to stimulate growth in a infants development you must do to the child even though they are 7 years old. Once the child’s infant needs have been met, you can move on to the next stage and treat that child as you would a toddler. When we try and treat the child at their developmental age and not stage it can lead to frustration and lack of growth and further inability to attach. I was taught that it takes twice as long to correct trauma development as it did to cause it. This is not the case for every child because there are many contributing factors such as the severity of trauma, age trauma was experienced, as well as the child’s natural personality, and age of intervention. So if you are caring for a 2 year old who was neglected that whole first 2 years of his life it is going to take another 4 years for that child to be back at a typical development. We must go back in order to move forward. This is an imporant thing to remember as a foster parent.